Your living room is an area of your home where, well, a lot of living takes place. From kicking it after work to entertaining friends and family on a Saturday afternoon, your living room sees a ton of action and helps create a mood. Right now, we’re really into bold, lively painted living rooms — really, anything but beige. Read on to find out some of our favorite ideas for color and get inspired. Did you know that colors can affect how we’re feeling? It’s true. It’s science. Red is considered an energizing color and believed to stimulate conversation. Orange is a friendly color that adds warmth to the atmosphere. 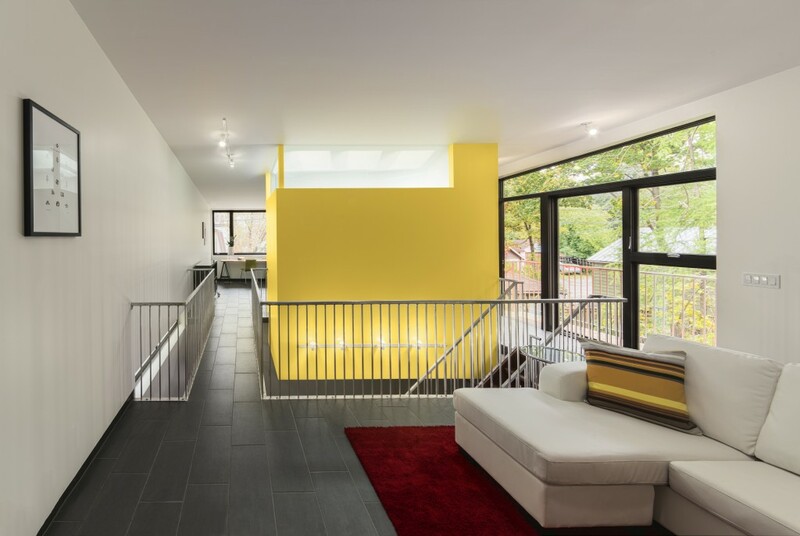 Yellow is considered cheerful, but it’s not usually recommended as a color for the living room. Blue adds tranquility and relaxation to a room. Darker shades add sophistication. Green can be incorporated into almost any room and is respected for its calming ability and connection to nature. Purple is also frequently credited with bring calmness to a room. After researching the power of color on the mood of a room, you’ll have a starting point for choosing the color scheme for your living room. 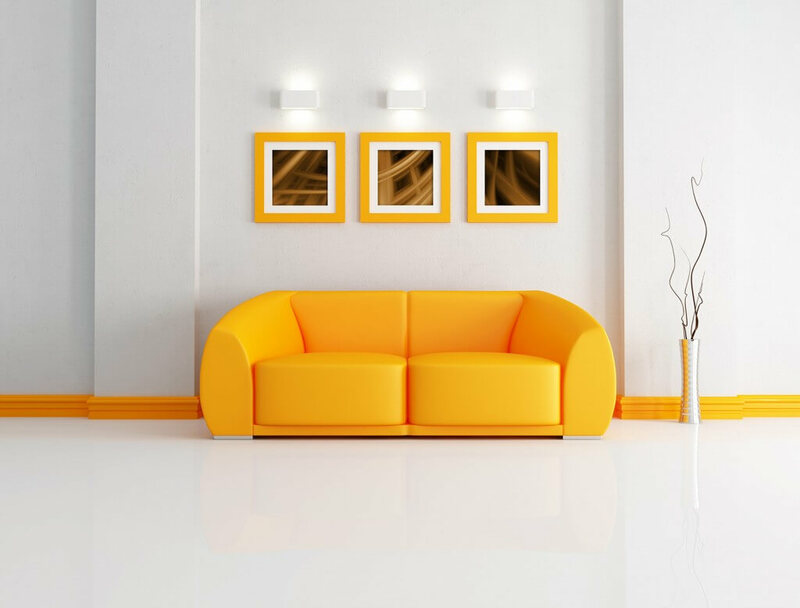 Regardless of what color you choose for your living room, the room can look a little mundane if you don’t highlight some features with a complementary or contrasting color. Ceilings don’t have to be white. A soft blue, ivory, or platinum would soften the atmosphere and could be paired with most wall colors. You can use a dark color for your ceiling, even if you have a small living room. This can visually trick your eye into thinking the room is more spacious. Painting the trim around your windows or ceiling will add interest to the room. Using a darker shade for the door or door facing is another way to break the monotony of color in a room. Many designers recommend highlighting unique architectural features such as a niche or fireplace with color of paint that pairs well with the walls, yet catches the eye. You can paint the interior wall of a bookcase or wall hung storage cubes in a color that pops with your wall color. This will make those ordinary accent pieces a form of art for your living area. Choosing one wall as an accent wall or feature wall is a great way to add a burst of color to a room. You can easily change the color of an accent wall. This is an inexpensive way to feature trendy colors in your decor without having to paint an entire room. Don’t get tunnel vision thinking that the only option for modern decor is black and white or that neutrals are necessary for traditional decors. A dark blue or deep purple can provide the sophistication modern decor requires. Deep crimson or dark green can work well in traditional decor. 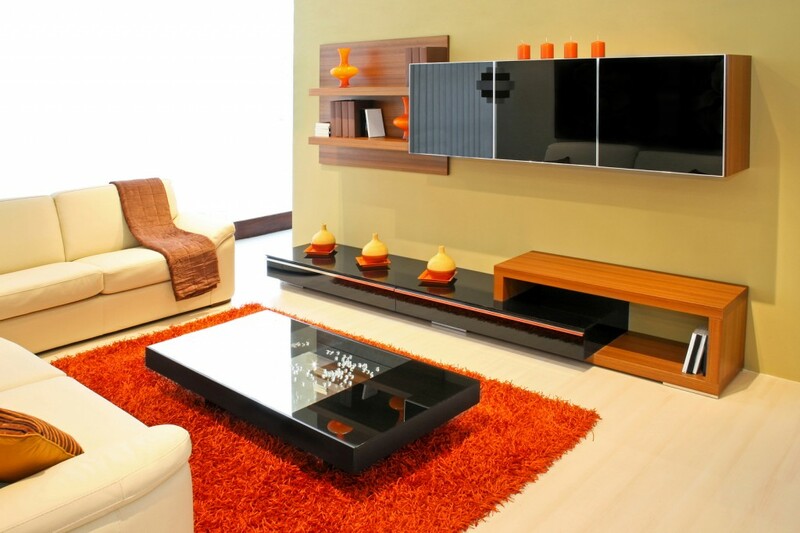 If your living room is a place where lively activity happens, choose a color, such as red or orange, that’s compatible with your family’s personality. If you want your living room to become a peaceful oasis, make your color choice form the realm of blues and greens that invite tranquility into the room.